The guys over at Brick Fanatics has found an interesting article regarding LEGO Friends and its competition. The National Law Journal is reporting that the US International Trade Commission gave permission for LEGO to go ahead and bring patent and copyright infringement cases against three competitors, MEGA Brands Inc., LaRose Industries, and Best-Lock Construction Toys Inc.
Last year Mattel purchased MEGA Brands Inc. which is the parent company of Mega Bloks and expanded their portfolio to include construction sets based on brands that they already own including Barbie and the recently announced Monster High. The sets that are in question are the “My Life As” ones as seen below. 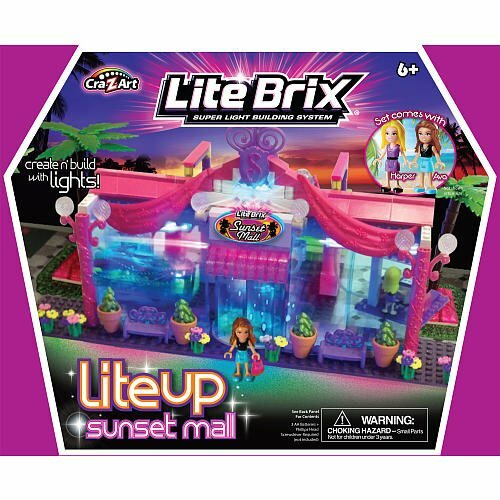 LaRose Industries is more well known for their Lite Brix construction sets and the particular sets in question are the Sunset Island sets where the figures look fairly similar to the LEGO Friends characters. The figures in the Best-Lock I’m Teen Little Mermaid sets were claimed to have a nearly exact dimension and proportions as the Friends mini-dolls. That statement is pretty true considering that LEGO pretty much has the market cornered with the popularity of the Friends sets. We’ll see what happens when the case actually goes to court but this also shows that LEGO will do what it takes to protect their brand and ideas and any company that looks to imitate what LEGO has will probably run into some trouble and result in some legal issues. Thanks for Chad for emailing this in.